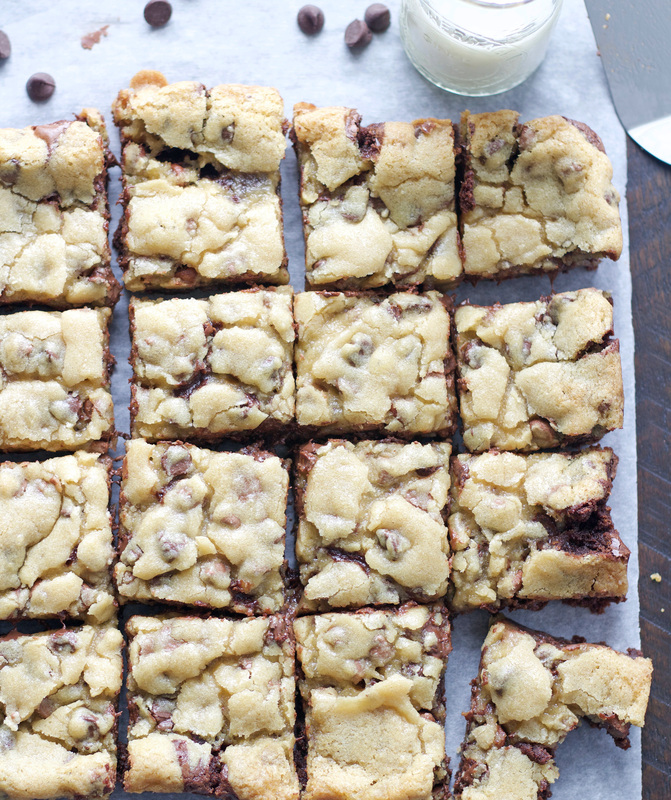 These Chocolate Chip Cookie Brownies are a layer of chewy, decadent brownie, topped with chocolate chip cookie dough then baked to perfection. Brownies and Chocolate Chip Cookies . . . definitely, the best of both worlds here. 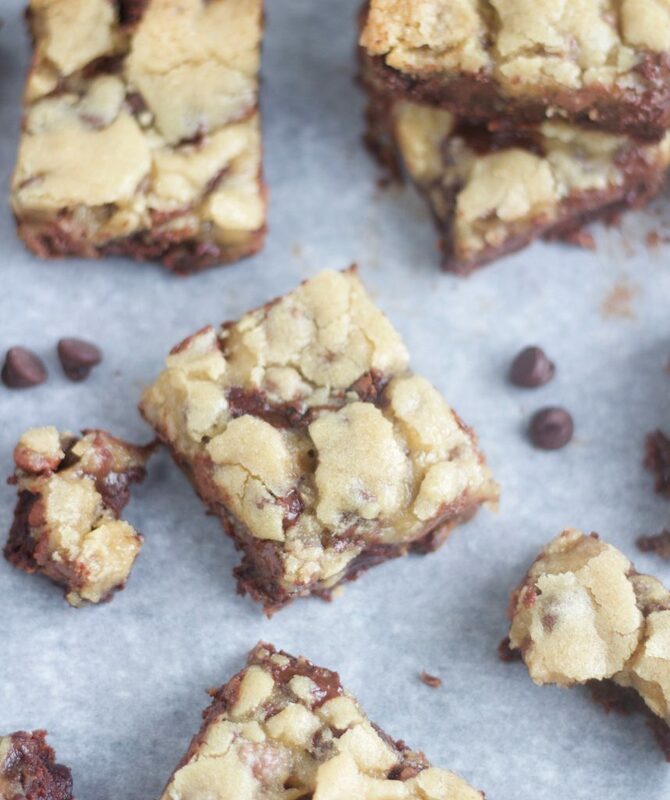 Brownies and Chocolate Chip Cookies. . . um yes please! Could there possibly be a more decadent combination? I mean seriously, what could be better?You guys, these things are absolutely evil and should be banned from my house from here on out. 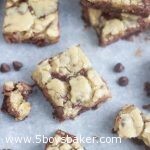 They start with a homemade, fudgy brownie layer then are topped with delicious chocolate chip cookie dough and then baked. Now I love things gooey so I underbake mine, which you can clearly tell from the pictures. Feel free to bake yours longer, but I highly recommend keeping them at least slightly underbaked. They will definitely continue to cook and set up as they cool, so just keep that in mind. I should warn you that these are rich and perfectly sweet so a little definitely goes a long way. I would cut them into small squares, but then again who am I to tell you what to do? If you want to cut them big, I won’t judge you, not one little bit. My boys honestly went berserk over these. I think they were a little bummed I took a plate to my friend I visit teach. Topped with vanilla ice cream and a drizzle of my Leatherby’s caramel sauce these would be even more ridiculous than they already are. Yeah, I’m definitely going to have to give that a try. I guess I have no choice but to make these again this weekend. Now I know there are probably hundreds of recipe like this hanging out on Pinterest, I’ve just never gotten around to making them. 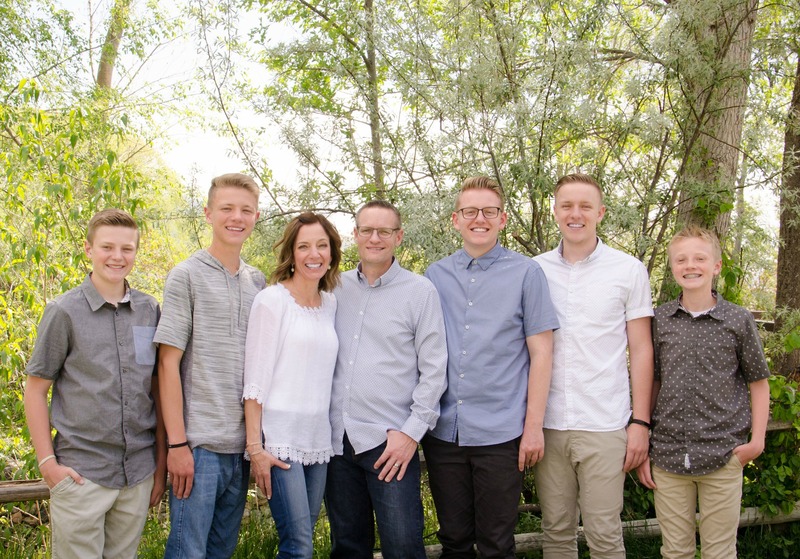 I am so happy I finally jumped on that bandwagon and you should definitely jump on it too. I promise you that after one bite, you’re going to hate me, but deep down I know you’ll really love me. Preheat oven 350 F. Line a 9x9-inch pan with foil or parchment paper, spray with cooking spray and set aside. Chocolate chip cookie dough: In a large bowl cream together butter, brown sugar and white sugar using a wooden spoon or hand mixer. Beat in egg and vanilla extract and mix until well combined. Stir in flour, baking soda and salt until combined. Stir in chocolate chips. Set aside. Brownies: In a large bowl mix together the melted butter, brown sugar, and white sugar using a wooden spoon or hand mixer. Beat in eggs and vanilla extract. Add cocoa and mix until combined. Stir in flour and salt until and mix until flour is incorporated. Stir in chocolate chips. Spoon brownie batter into the prepared pan and spread into an even layer. Take spoonfuls of the cookie dough and flatten just slightly and drop over the batter until covered. (It's ok if there are holes). Bake for 30-40 minutes (I like mine to be more gooey so I only cook them 30 minutes, it's a personal preference here). Keep in mind they will continue to cook a bit as they cool. Remove from oven and place on a cooing rack. Allow to cool before cutting.